Ha-Makuya belongs to the Netshulu clan. The founder of Ha-Makuya chiefdom was Khosi (chief) Netshulu. He was married to Mbobvu the daughter of Khosi Dzhenzhele Luvhimbi of Ha-Luvhimbi. Khosi Netshulu’s daughter was Mainganye Mutshinye. When Khosi Netshulu died, his wife, Mbobvu, became the chief of Tshulu. Mainganye married Ramudzadze Tshivhase from Ha-Tshivhasa. Ramudzadze was later killed by his kinsmen, the Tshivhases, and was survived by his wife and four children: one daughter called Lalumbe, and three sons, Muofhe, Phophi (also known as Matshikiri), and Thabela. Mainganye had to go back home to Tshulu after her mother’s death. Mainganye took over the new chief of Tshulu. Lalumbe married Khosi Lambani of Ha-Lambani. Muofhe settled at Mainzwi Ha-Tshisinavhute. Phophi Matshikiri followed his mother to Tshulu, while Thabela settled at Fandani. Mainganye died and was succeeded by her son, Phophi (Matshikiri). But Matshikiri sent messengers to Mianzwi to request Mantsha Radaimane, Muofhe’s son, to take over as the chief of Tshulu. This was due to the fact that Matshikiri felt that Muofhe would have been the one to take over from Mainganye if he was still alive. Matshikiri therefore decided to honour tradition by offering the chieftainship of Tshulu to his nephew, Muofhe’s son. Mantsha became the chief of Tshulu. He was given the title of Rafhedzisani. He, like his father, called himself Makuya. The land of Tshulu became known as Ha-Makuya, meaning the land of Makuya. Mantsha later attacked his uncle, Matshikiri, the very person who offered him the chieftainship of HaMakuya. Mantsha, with the help of the Tshivhases, drove Matshikiri out of Ha-Makuya. Matshikiri settled at Ha-Makushu for a year. He later moved to Ha-Luvhimbi for two years. He again moved to Membe where he became the chief. While at Membe, Matshikiri repelled attacks from Mantsha who was assisted by the people of HaTshikundamalema, Ha-Tshivhasa, Ha-Mphaphuli, and Ha-Mutele. He moved from Membe to Tshamiulwi. But he had to move back to Membe after Mantsha once again tried to assassinate him. 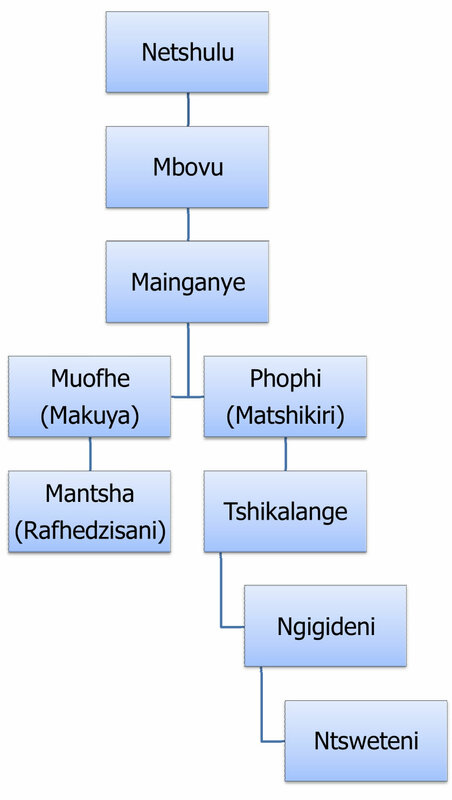 Matshikiri’s sons were Mashila, Muvhali, Ramashia, Maphiri, Maluta, Phophi, Tshikalange, Lavhengwa, Makwarela, Nkhumeleni, Mavhungu, Ramudzuli, Hiri, and Makungo. Matshikiri plotted with his sons to attack and drive Mantsha from Tshulu. Matshikiri pretended to have fallen out with Ramashia. This was a strategy to have Ramashia and Mantsha becoming friends to enable Ramashia to spy on Mantsha. Ramashia left Membe to settle at Tshulu. On ‘learning’ that Ramashia was ‘not on good terms’ with his father, Mantsha welcomed him at Tshulu. After a while Matshikiri and his sons, using intelligence gathered by Ramashia, attacked Tshulu and killed Mantsha. Matshikiri once again became the chief of Tshulu (HaMakuya). He too called himself Makuya. In old age Matshikiri was taken care of by Tshikalange. This led to Tshikalange taking over as the new chief of Ha-Makuya after Matshikiri’s death. But Mashila and Phophi contested Tshikalange’s chieftainship on the basis that he was their younger brother and was therefore not eligible for the throne. But their protestations went up in smoke. 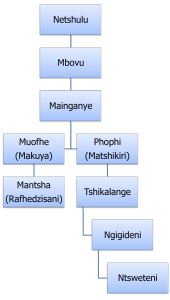 Tshikalange’s sons were Musuthu, Mutshokotiki, Tshilima, Nthomeni, Ndanganeni, and Ngigideni. It is said that Ngigideni’s mother was Tshikalange’s cousin and was ‘Mufumakadzi wa Dzekiso’, i.e the woman who is chosen for the current chief by the royal household to bear the future chief. Mufumakadzi wa Dzekiso is usually the chief’s first wife, and her eldest son is the designated future chief irrespective of whether or not he is the chief’s eldest son. Ngigideni was therefore, according to tradition, the heir to Ha-Makuya throne despite the fact that he was the youngest of Tshikalange’s sons. Tshikalange died in 1956. Ngigideni was installed as the new chief of Ha-Makuya on 20 December 1958. Ngigideni was succeeded by Ntsweteni in the early 1990s. Today there is a faction contesting Ha-Makuya’s chieftainship. It claims that Ngigideni was installed by the Boers who viewed him as co-operative and willing to implement the Boers’ decisions. This faction argues that Tshikalange’s eldest son, Musuthu, should have taken over after Tshikalange’s death. They also question Ntsweteni’s legitimacy since he is the son of Ngigideni. Ntsweteni’s supporters argue that Tshikalange had indicated, long before he died, that Ngigideni should succeed him. They argue that this, coupled with the fact that Ngigideni’s mother was Mufumakadzi wa Dzekiso, means that Ntsweteni is the legitimate Khosi of Ha-Makuya. The issue of the Makuya chieftainship was addressed in the Ralushai Commission, the final results of which were never released into the public domain. It is possible that these unreleased results were passed on by the government to the Nhlapo Commission on Traditional Leadership Disputes and Claims. 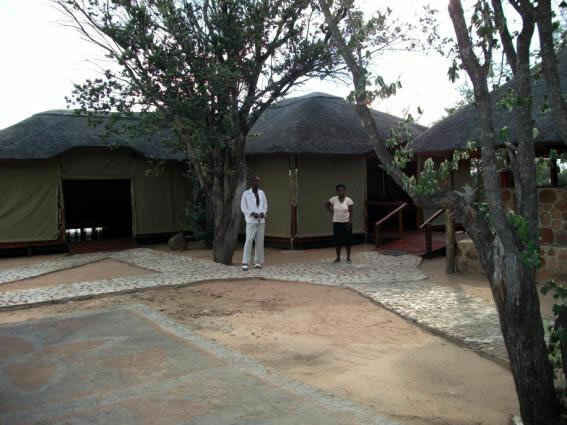 Makuya Nature Reserve shares a fenceless border with the Kruger National Park. 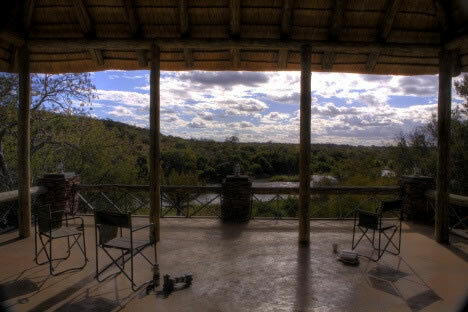 It is located on a mountain top that offers a spectacular view of the Luvuvhu River and a baobab forest, where elephants, hippos and crocodiles roam freely. As part of the Greater Kruger National Park, Makuya Nature Reserve offers Big Five sightings as well as all other species of the region. Singo Safari Lodge: Makuya Nature Reserve. Lara Allen – of Tshulu Trust..